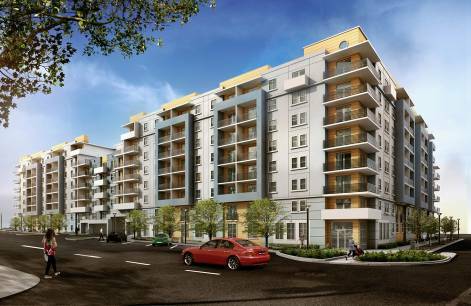 The apartment building formerly known as Bayway Aprtments have a new name: Modera Prime 235. This property is being developed by Mill Creek Residential of Dallas, TX and will consist of studios, one bedroom, and two bedroom units. The development features a parking structure, two rooftop lounges with city views, a pool, and a two story fitness studio.